//Film Ink Magazine: "A hard-hitting journey of revenge and redemption starring AFI Award Winner David Field, Sacred Heart broaches a myriad of topical issues." 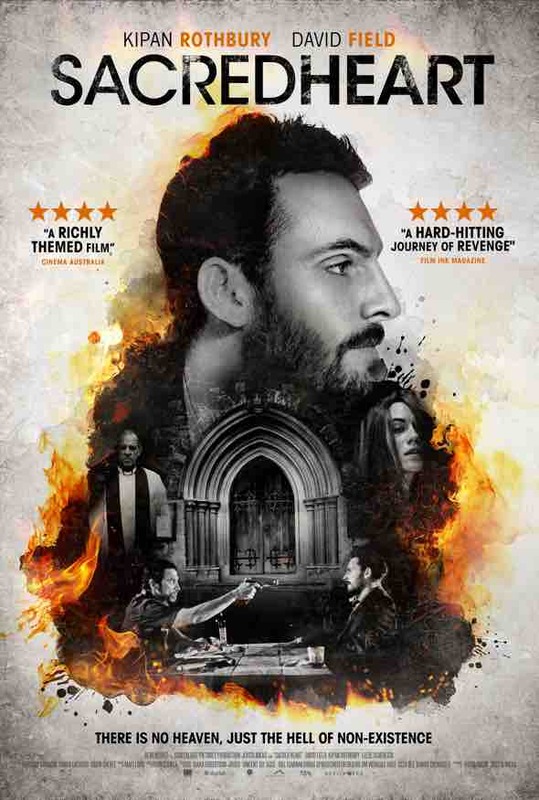 Australian Film Critics Association: "... is a courageously adventurous and intensely probing film"
A richly themed film, Sacred Heart chronicles the journey of a religious man, who rejects God and his faith, after the tragic death of his pregnant wife and then challenges the Devil. He receives a visit from his priest, who pushes him to question his own beliefs. The Priest turns out to be a mirror of his own insanity, pushing the boundaries between heaven and hell.